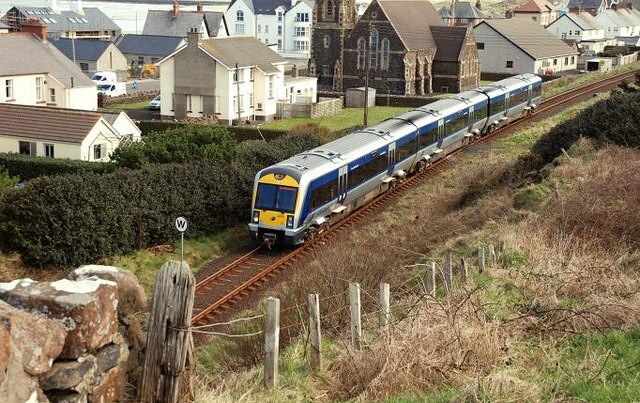 The 10.40 Belfast – Londonderry approaching the entrance to Castlerock tunnel C7636 : Railway tunnel, Castlerock. The tunnel is 667 yards long. See also C7636 : "80" class railcars, Castlerock (1980).